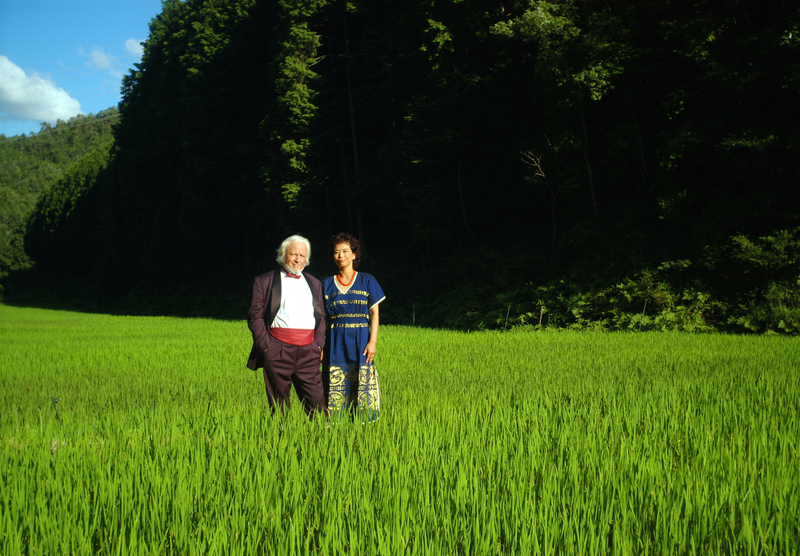 Since 1987, we are planting rice, staying close to the roots of Japan. We own about 2/3 of an acre in the form of 5 descending fields in a narrow, barely accessible valley. We plant by hand, in the old fashioned way. In the first year, we, and one more couple, did the whole work by ourselves. Back breaking work, not all that romantic. 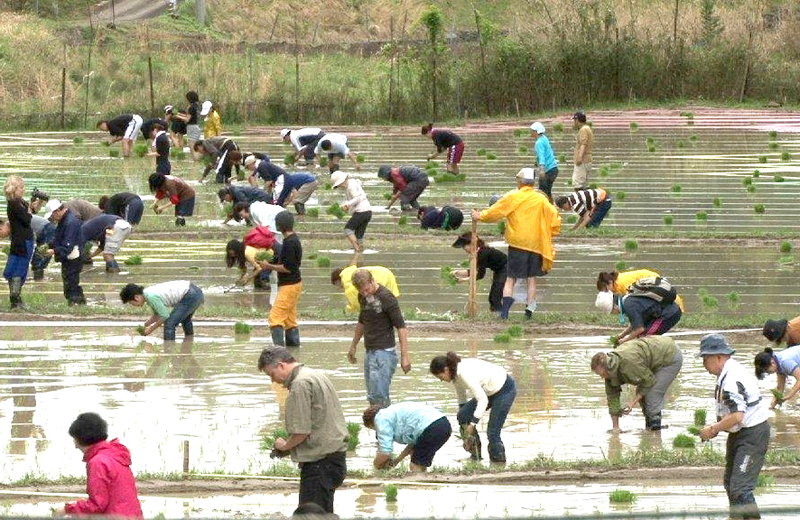 Pests, weeds and diseases attack the rice plants. Rabbits, dear and wild boar are taking their undeserved share. Taiphoons spoil the harvest. Now we have a different system. 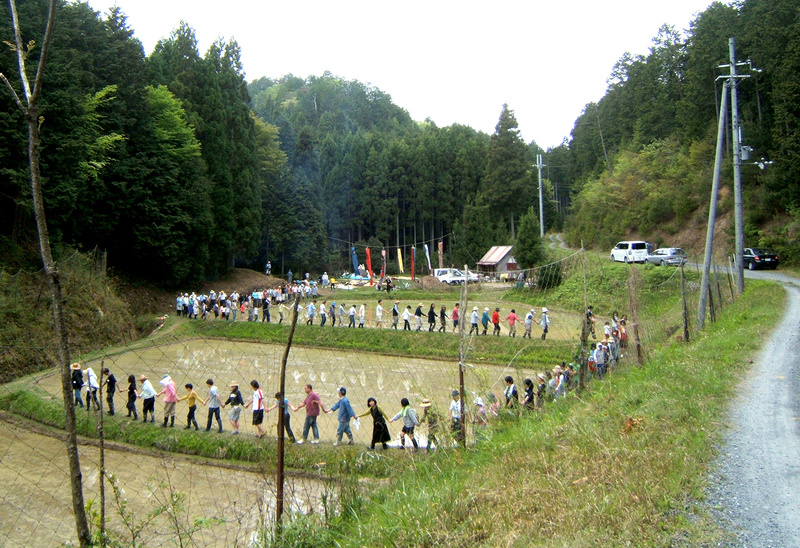 Every year on May 3rd, a holiday, we have a rice planting party. Over100 friends and friends of friends come for the day to fill the valley with laughter, plant and eat and drink. In a good year we harvest close to a ton of rice. We have a lot of mouths to feed, aside from our family we have thousands of guests a year at our Kayabuki concerts. It has become tradition that each guest receives one o-nigiri (a riceball) at the end of a concert. 603-8691, Kyoto-shi, Kita Yubin Kyoku, P.O.Box 24, Japan.